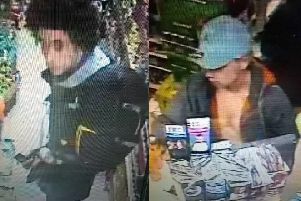 Two robbers wearing balaclavas threatened a man with a knife before stealing his mobile phone and wallet on a redway last Thursday ( Sept 29). The incident happened around 10.30pm between V7 Saxon Street. The first offender is 6ft, slim and was wearing a light coloured top and dark trousers. He spoke with a foreign accent and carried what was described as a kitchen knife in his left hand. The second offender is 6ft, slim and was wearing black clothing. If you have any information please contact Det Con Russell via the Thames Valley Police Enquiry Centre on 101. If you don’t want to speak directly to the police you can contact the independent charity Crimestoppers anonymously on 0800 555 111 . No personal details are taken, information is not traced or recorded and you will not go to court.